This week has been the worst week of my life. 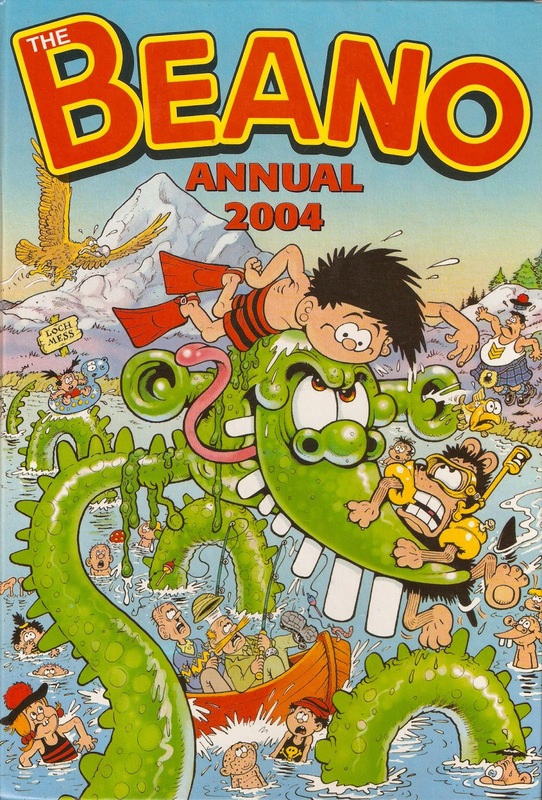 The person who gave me my first comic, the 2004 Beano annual, was my Grandma. I say "gave", but I actually found it in her spare bedroom where we slept and, after a few visits to her house (we went just about every school holiday), she let me keep it. My collection grew and grew and she supported me along with it, occasionally sending me comics she found in shops or forwarding them on to me if I had some sent to her house. She passed away last Sunday, and I received the phone-call informing me half way through writing my Wizard post (and I was editing the Mr. Green post). So naturally, I've felt a bit down and two other things that I'm not going into have completely ruined my past week. As a result, I had considered ending this blog; I just can't seem to face comics again after the person who got me into them has gone. I'm not sure I really want to end, but the blog may move slowly for a while, with less regular posts. I hope your week was better than mine. Readers of this blog have probably noticed that recently I've been getting more and more interested in older comics, particularly those published before 1940. This new interest led for my curiosity as to who was the world's first recurring comic character, so I decided to find out. I began my search, rather lazily, by typing into Google 'World's first comic character' which, though a few links, led me to the Yellow Kid, a character I had already heard of. The Yellow Kid first appeared in Joseph Pulitzer's New York World in 1895, and is credited not only as the World's first comic hero (a term I shall use instead of 'first recurring character') but also as the first newspaper strip. I realised without doing any further research that he could immediately be beaten by Ally Sloper, who first appeared in Judy (a comic magazine) on 14th August 1867 alongside his pal Ikey (Issac) Mo. 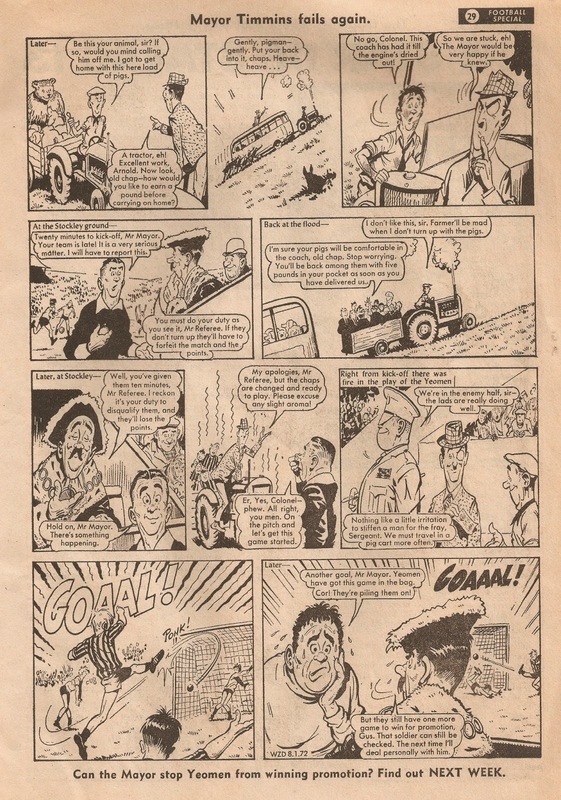 Ally went on to be one of the most famous characters in Britain and even went on to have a popular weekly comic in his name, which ran for over 30 years from 1884 - 1916.
couple of years ago on this blog. 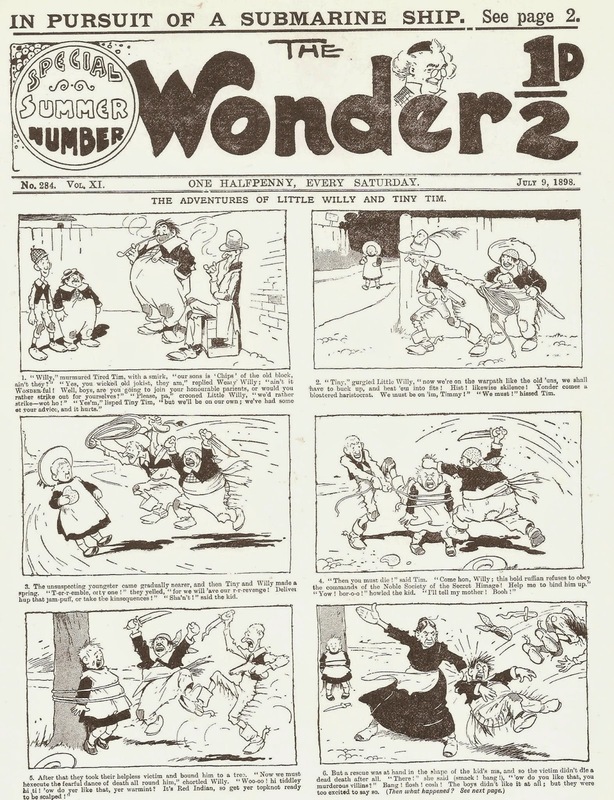 For a short while I was certain that another contender for the honour of the World’s first comic hero were the two unnamed apprentices who appeared in The Comick Magazine, subtitled “The Compleat Library: of mirth, humour, wit, gaiety, and entertainment. By the greatest wits of all ages and nations. 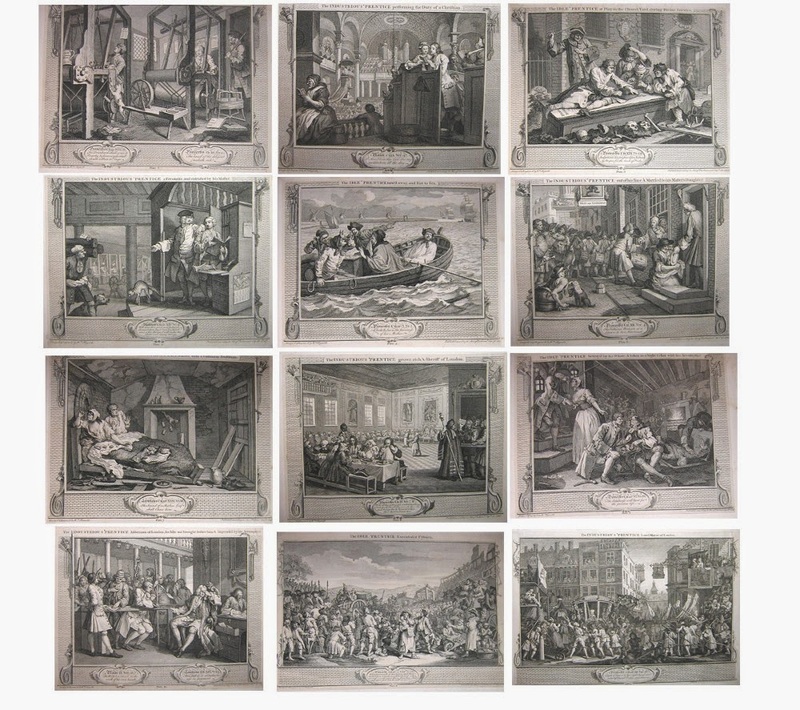 Enriched with Hogarth’s celebrated humourous comical and moral prints.”. It was first published on 1st April 1786 by a Mr. Harrison of London, and folded less than a year later on 2nd January 1797, producing approximately 41 issues. 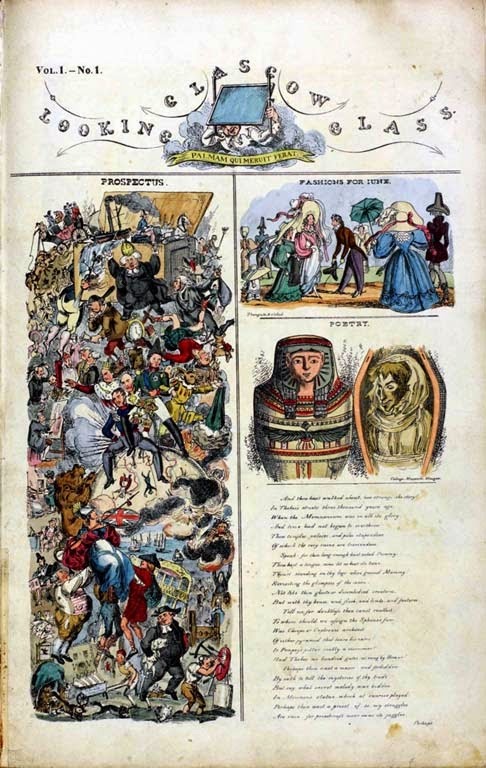 Each monthly edition of the magazine, which was otherwise completely text, came with a coloured plate as mentioned in the subtitle, and they came together to form a series called ‘Industry and Idleness’. Each plate showed part of an adventure of the two unnamed apprentices, which, when put together, created a very rough story, an early attempt at a sort of comic strip, but not really the comic heroes I'm looking for as they are more separate pictures than a running character. They were painted by William Hogarth in 1747. William had died in 1764, some years before The Comick Magazine was first published. Industy and Idleness, by William Hogarth. 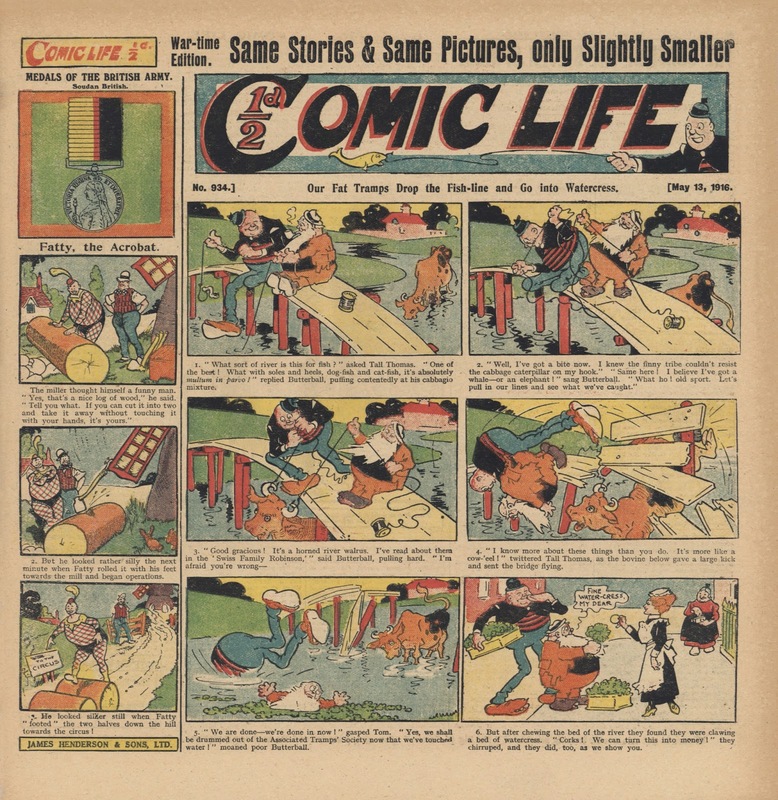 You may have heard of a publication called The Glasgow Looking Glass, a contender for the world's first comic and therefore there was also a possibility that it might feature the world's first comic hero. The Glasgow Looking Glass ran for five issues from 11th June 1825 - 3rd April 1826, before turning into The Northern Looking Glass. It was soon cancelled not because it was unpopular, but because the publisher (John Watson) and artist (William Heath) made too many enemies from the people they mocked. 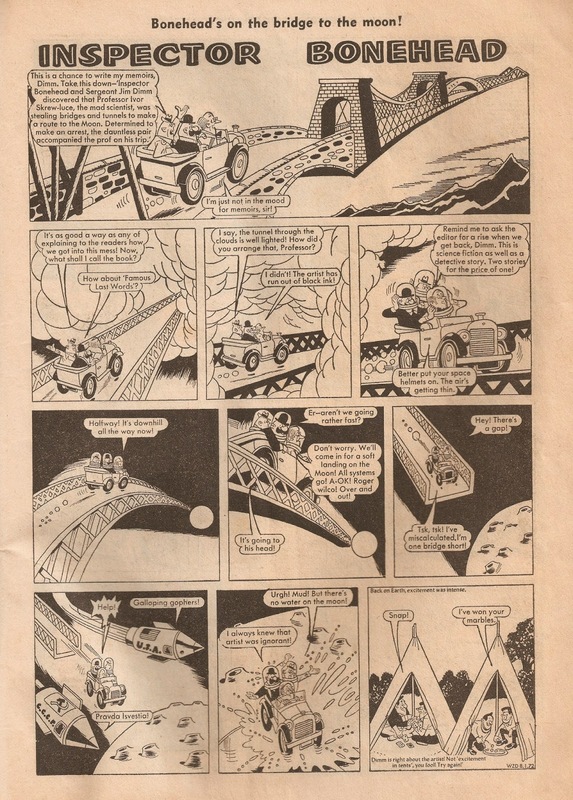 There turned out to be just one strip in the publication that appeared in more than one issue. It was entitled The History of a Coat, which followed a coat through its history. It appeared in issues #2 - #5, with the coat being the recurring character. However, whether or not a coat can be accepted as a comic hero is debatable, so I decided to find something more solid. That brought me forwards to 1850, to the pages of The Penny Illustrated News (not to be confused with The Penny Illustrated Paper). Launched on 27th October 1849 by publisher William Strange, it lasted until 5th April 1851. 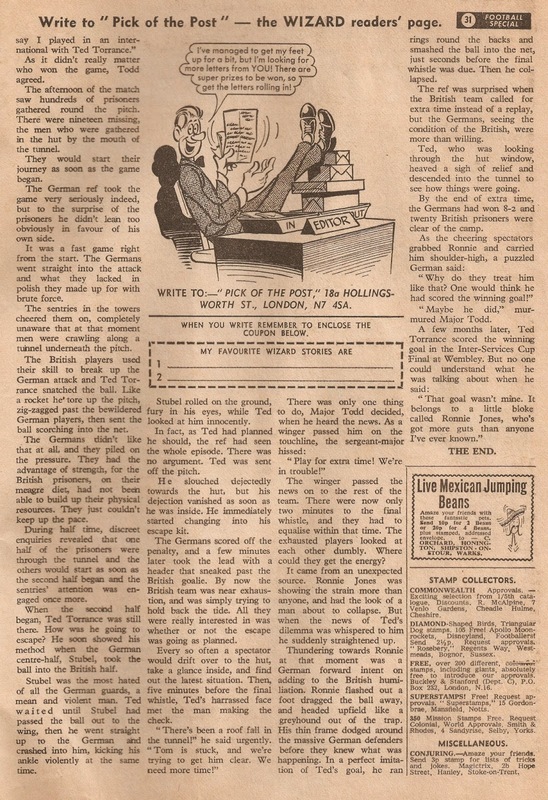 The first issue of interest, Vol. I No. 18 is perhaps one of the most important general publications in history. Dated 23rd February 1850 it not only introduced the world the newspaper strip but also the first recurring comic character – Mr. Green. The full title was ‘The Sentimental & Dramatic Adventures Of Mr. Green’, and it appeared on page four of this paper (numbered page 140 because when all issues were bound this would be the page number) by a sadly unaccredited illustrator, although my best guess would be that it was John Leech. Mr. Green, often referred to as ‘Mr. G’ for short, is 45 years of age, single, has a passion for music and acting and has a cat called Tom, so quite a bit can be said for the character despite his short run. The end of the first strip ended with the line: “(To be continued. )”, and readers were treated to another two adventures in the life of Mr. Green. 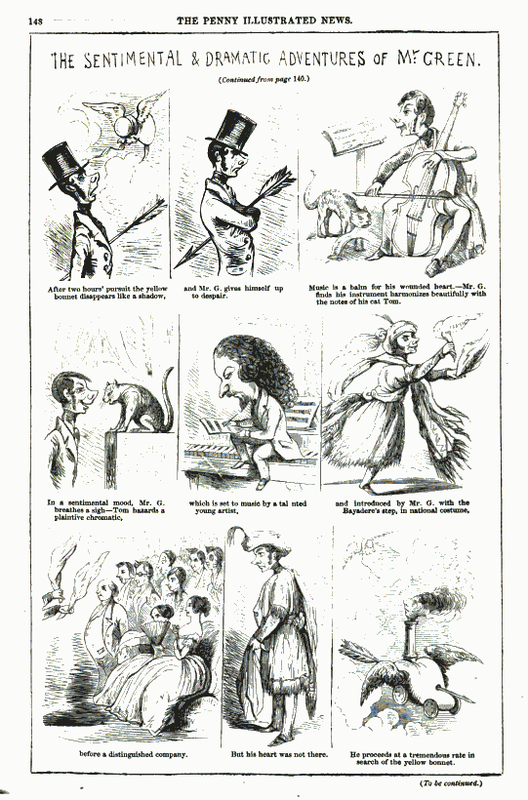 The Penny Illustrated News was a weekly paper that came out on a Saturday (in 1850 the government banned the transmission and delivery of letters on a Sunday, but this law lasted just a few weeks) so the second part appeared in Vol. I No. 19 dated 2nd March 1850, and the third part in Vol. I No. 20, dated 9th March 1850. This third strip also featured the familiar “(To be continued. )” line at the bottom yet no more adventures were published. The story as a whole followed Mr. Green’s love for the girl under the yellow bonnet, although the third episode is rather strange because although it starts with him coming back from searching for this woman it turns to him studying magnetism and electricity. Whether or not any more stories were written and drawn I can’t say, but I know the strip received mixed emotions because I have found two separate letters regarding his adventures. Although the actual letters from the readers don’t appear, the responses do, for a number of responses from the editor, William Strange, were published in each edition of the paper in a section called ‘The Correspondents’ on the back page (they began in Vol. I No. I, with the first one rather harshly reading “C.S – Your sketches are not suitable to our columns: they want originality”). 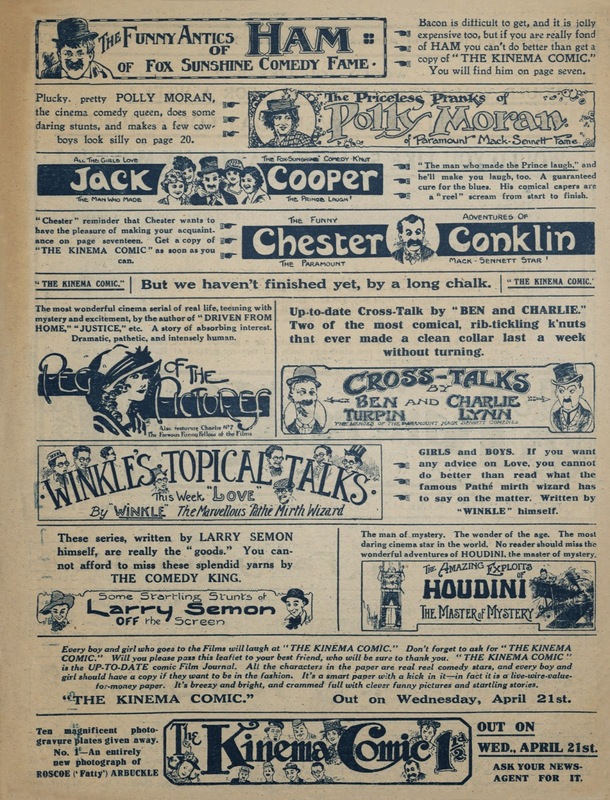 The first letter regarding Mr. Green’s adventures appeared in Vol. I No. 27, dated 27th April 1850. It read: “J.Y. – You wish CAMERA SKETCHES, instead of such comicalities as the pictured “Adventures of Mr. Green;” a few passages of which appeared in this Journal some time ago. We recommence with a view of Lomond Hill. We join you in opinion that as much can be learned from comic writing as comic drawing, and we wish to devote the expense incurred by engraving to subjects of a permanent character.”. A second response appeared some weeks later in Vol. I No. 35, dated 22nd June 1850. Although much shorter this time, it read simply: “A.Z. – We cannot recall Mr. Green’s adventures.”. Now, I know you're all ready to see these strips, so here they are, all three of them! Enjoy! And as always, click on the images and then again to view in full size. 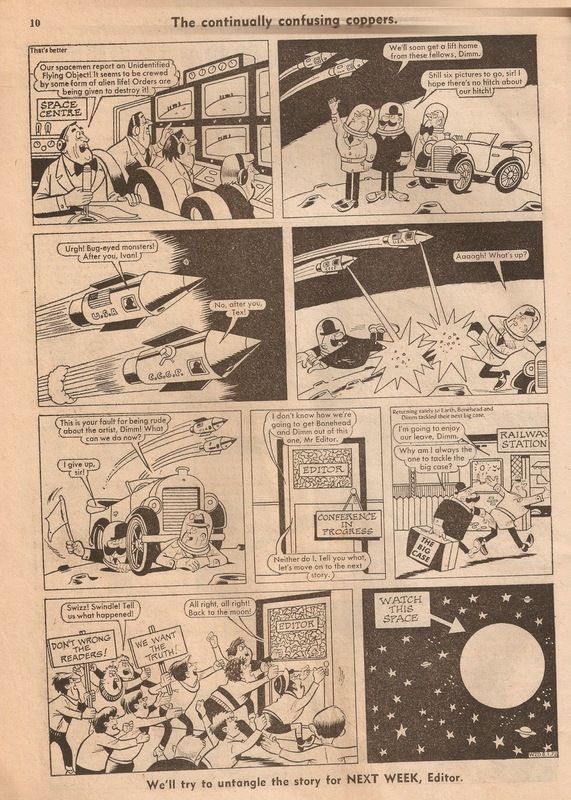 So there you have it, the World's first newspaper strip and the competition for the World's first recurring comic character, which is between a coat and a man named Mr. Green. Which do you think deserves the title? I don't normally include a bibliography but for this post I feel it would be helpful for anybody wishing to research this further. 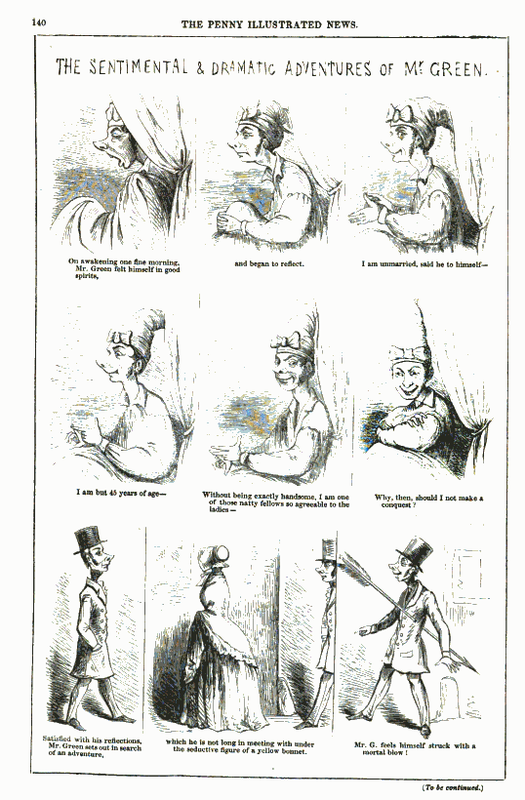 I would like to thank Laurence Grove of the University of Glasgow for information regarding 'The Glasgow Looking Glass' and 'The History of A Coat' strip. I would like to thank Sarah Wheale of the Bodleian Library in Oxford for helping me with information regarding 'The Comick Magazine'. I would also like to thank Bill Emery of the British Library for help with information regarding The Penny Illustrated News. 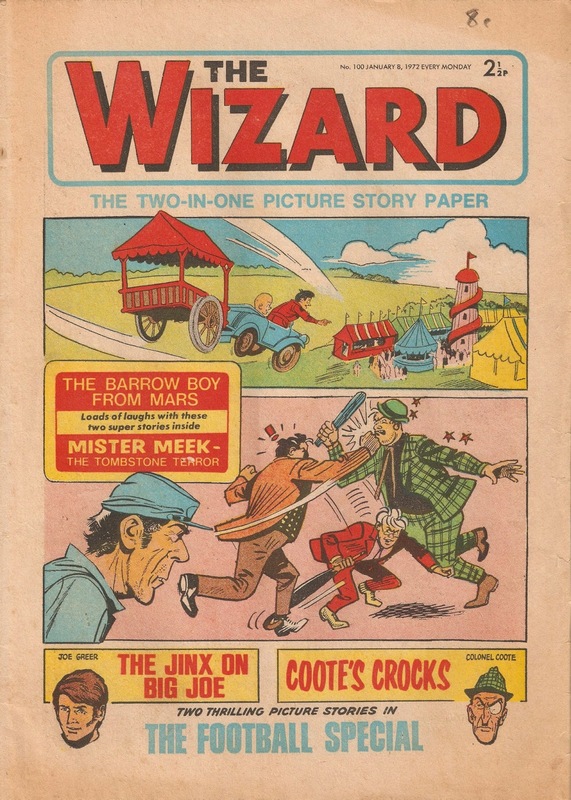 Like The Hotspur, D.C Thomson also revived their long running adventure comic The Wizard for a second series in 1970. The original series ended in 1963 and had run for an impressive 41 years before folding, the second series, although not as successful, still ran for eight, folding in June 1978. Today I'm taking a look at an early issue from the second series, #100, dated 8th January 1972 and which cost 2 1/2p back then. 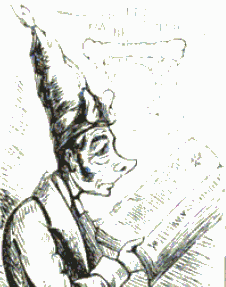 The original Wizard was a boy's story paper, meaning that its contents consisted mostly of text stories. These became less and less popular as the 1950's passed so it's no surprise that the paper folded soon after. This new Wizard though, bears almost no resemblance to its predecessor. There was, however, one text story within it, spread out over two pages just inside the back cover. It's entitled The Star of Stalag 13, and is about a football match within the walls of a German prison of war camp. 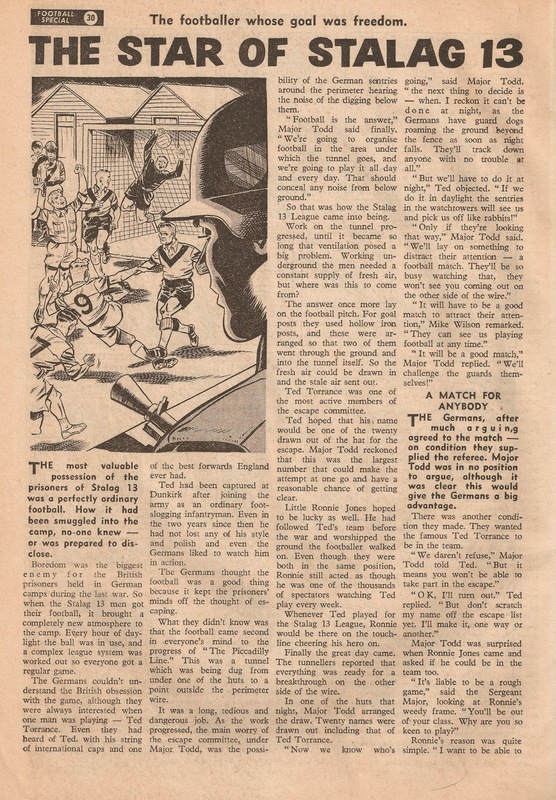 This particular edition of The Wizard is the "football special", and the last third (or thereabouts) of the comic is entirely football themed. 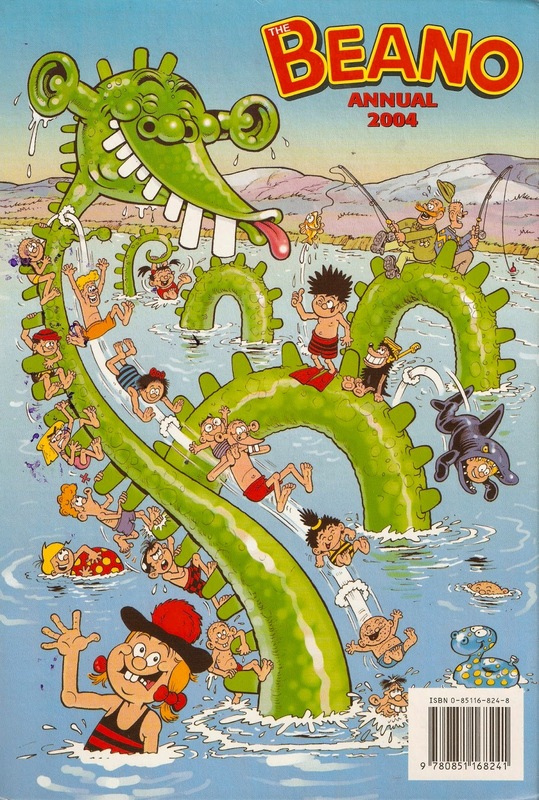 Here's one example, a rather strange strip entitled Coote's Crocks, illustrated by Tom Kerr. 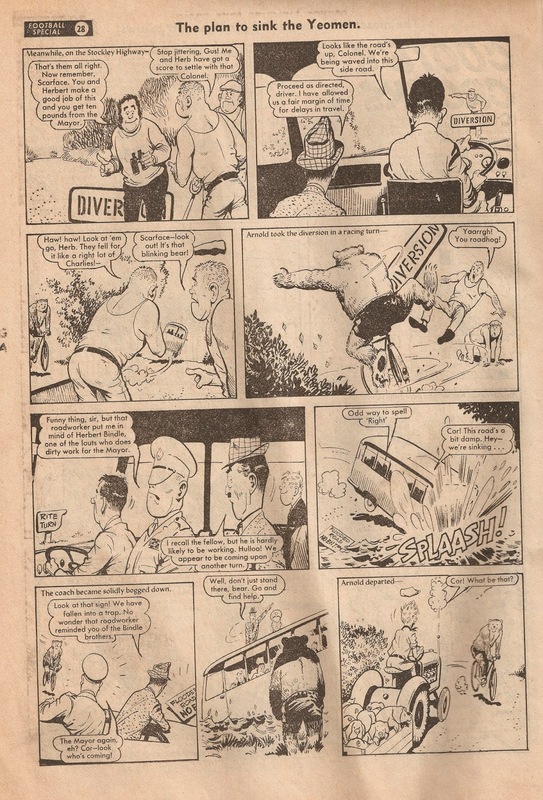 Of the rest of the comic there were two humour strips and four adventure strips. I just have to show this humour strip entitled Inspector Bonehead to wrap up the post, simply because it breaks the fourth wall more times than any other comic strip I've ever read, and probably ever will again! As promised and by request, here's another interesting comic strip featuring Weary Willie and Tired Tim, in which we meet their nephews - Little Willy and Tiny Tim. It appeared on the front cover of The Wonder dated 9th June 1898. The Wonder would later become the Funny Wonder, which in turn would last until 1942. 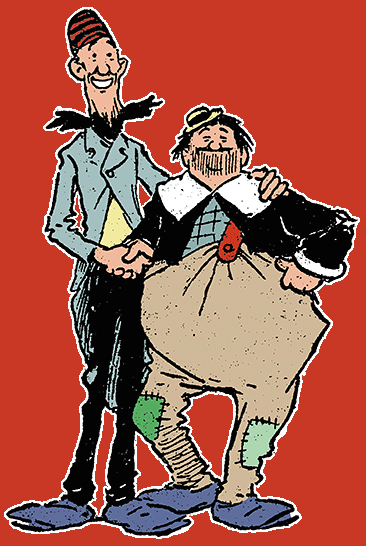 Tom Browne, famous creator of the fat 'n' thin tramp duo, is the illustrator. 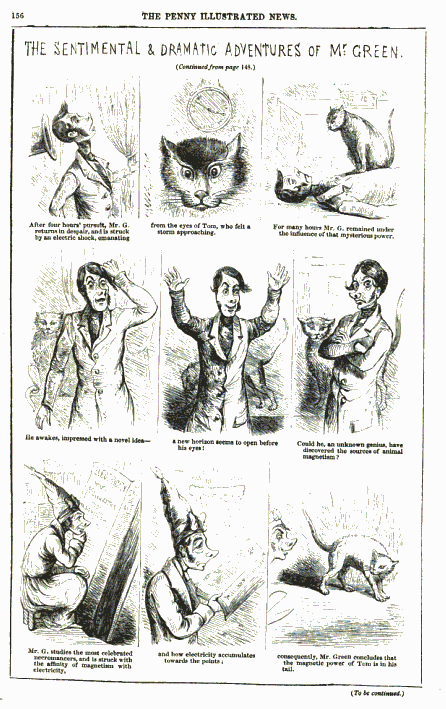 This strip is one of 150 that can be found in Denis Gifford's excellent 1976 book Victorian Comics. If you haven't yet got a copy I highly recommend you do so. For those of you interested in pre-war comics Wonderfully Vulgar is an excellent website to visit. It is a virtual exhibition put together by Kevin Carpenter using some of the 5000+ comics housed in the Library (BIS) of the University of Oldenburg in Germany. There are many scans of comics on the site of comics from 1873 - 1939, both of front covers and inside pages, plus a few extra items too. 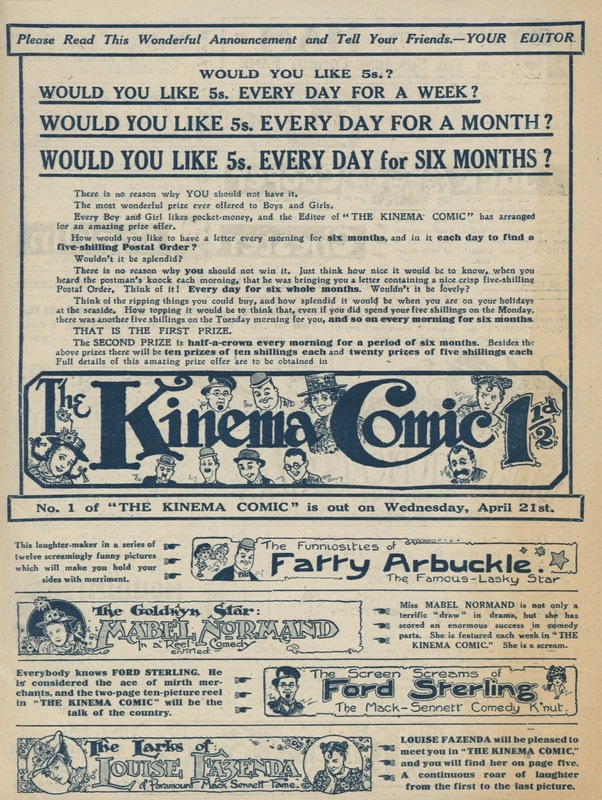 One of those extra items is the incredibly rare advertising flyer for The Kinema Comic from 1920, which was set up as a sister publication to Film Fun in hope to take in all the readers interested in film stars in comics and put off other companies setting up rival comics. 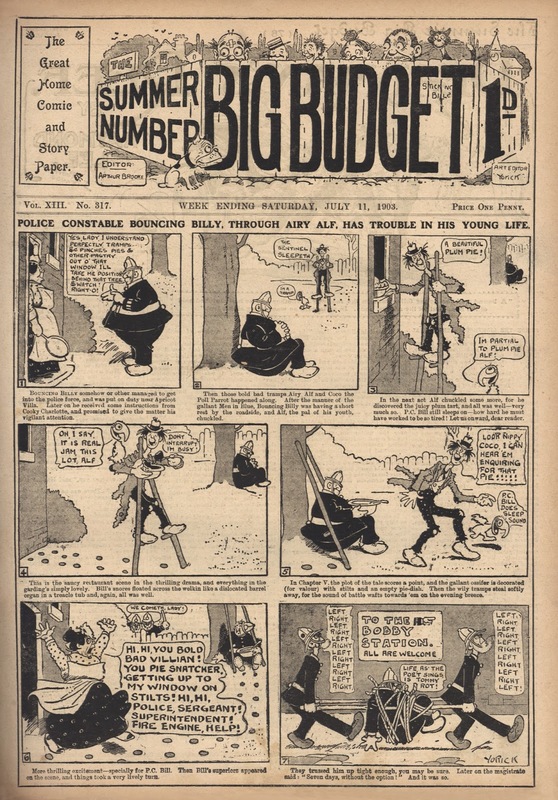 Also up there is the Big Budget Summer Number from 11th July 1903. Often publishers would produce special editions of their comics at certain points of the year, summer being one of those. Of course, they would later evolve into summer specials which were seperate publications from the weekly comics. 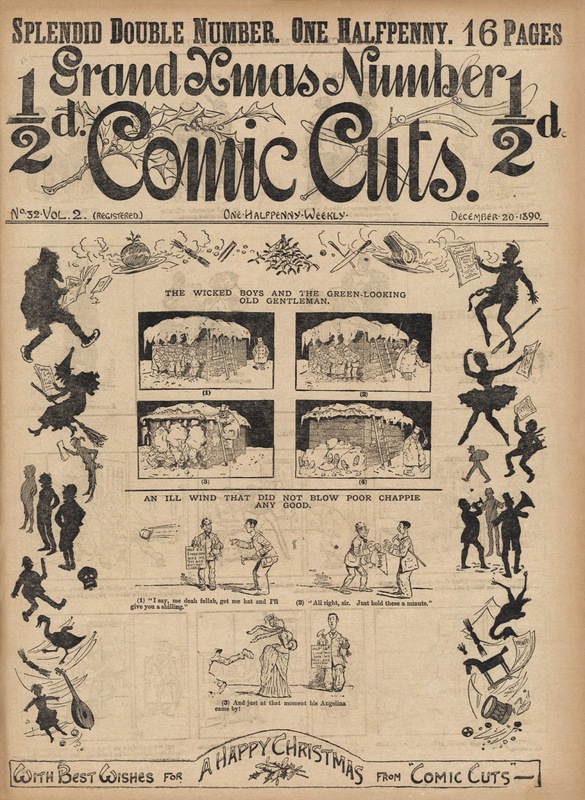 Another nice piece is the 1890 Grand Xmas Number of Comic Cuts, the first Christmas edition of the paper. Alfred Harmsworth managed to double the page count to sixteen but still keep the comic at the halfpenny both him and his papers were famous for. And finally, here's a square edition of Comic Life. It is such a strange shape because of the paper restrictions caused by the First World War but would return back to its normal size on 14th April 1917. As always, click on the above images to view them in full size.